No matter what industry your business is in, SEO (Search Engine Optimization) is one of the most valuable and cost efficient tools you can invest time and money in. Small business SEO works by strengthening your overall online presence with quality content and driving new visitors to your site and in return, turn searchers into customers. As easy as it may be to ignore this portion of your website, it is by far the most effective way to influence the way your business ranks in search engines and gain a maximum return on your investments. 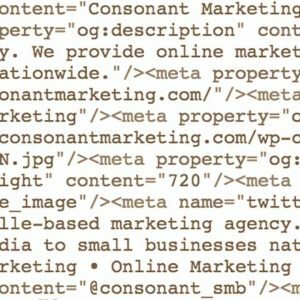 Consonant Marketing develops small business SEO campaigns for those looking for an organic strategy to target potential customers and expand their community outreach. With compelling content and optimized online campaigns, clients will get higher ranking results and more sales inquiries. All of our SEO campaigns start with optimizing your current and future content on your website such as blog posts, image files, video files, and web pages. Then, we monitor your onsite SEO to see how it is performing among organic rankings on competitive search phrases. Off-page SEO makes sure your website and business has optimized with SEO keywords and phrases across all online platforms by implementing internal links, local listings, Google maps, press releases and relevant content. 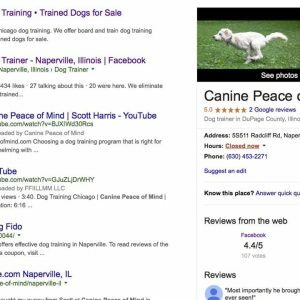 Some local directory listings apply to all businesses, others are industry specific. Our clients get our expert advice on which directories and websites make sense for your business to be listed on. Then, we build those listings to make sure your business shows up where it matters most. Google scores your social media presence as part of their ranking process. We provide blog posts and digital media content with SEO implemented for you, making it easy to effective to gain results. Public Relations campaigns utilize both online and offline media outlets to gain exposure and brand awareness for your business. The more your website appears on published outlets the higher you will rank on search. Having extensive public relations experience allows us to maximize your business exposure and pitch to relevant blogs and new outlets. 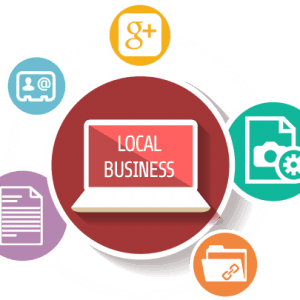 Local SEO is often done for small businesses who want to be visible in Google or Bing search results to customers who are located near them. Also, you want to make sure your business is optimizing it’s business listing pages on sites like Google, Google+, Yelp, etc. This is one of the best ways for a small business to grow both locally and regionally.